This month, as we cling to the final, surprising days of summery weather, we’re reading less and doing more. With the rising cost of museum admission, Museum Day Live!’s free entry gets our approval. The Bears are away in Green Bay at the end of this month, but you can still attend a live game at Soldier Field that day: the Chicago Football Classic is in town. And, as fans of all genres of music, it’s fitting that a live concert with Sturgill Simpson was chosen for our third monthly sampling of recreations that we find amusing. Every year, Smithsonian magazine puts on Museum Day Live!, a Saturday event in which a handful of museums and institutions in cities across the country are FREE. 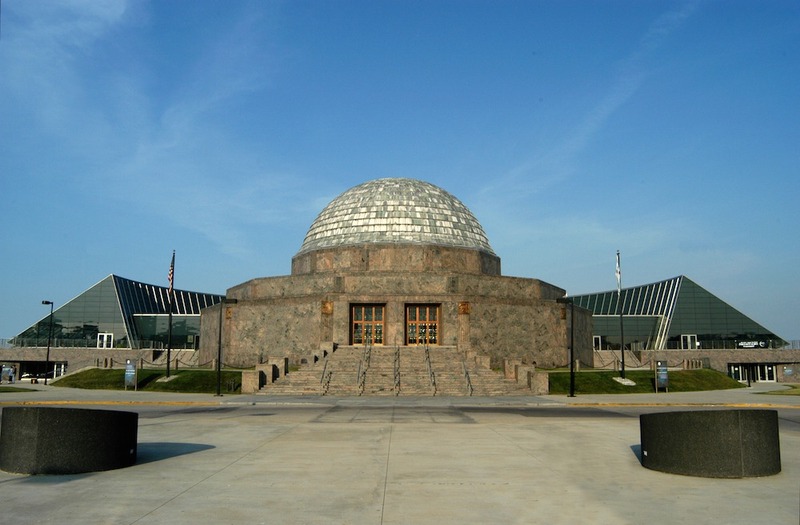 One of my personal favorites in Chicago, the Adler Planetarium, is on the list. Sometimes you have to go online to get offline and enjoy a good ol’ cultural institution. You can find a list of museums in your area and download a ticket at the Museum Day Live! page. Unless you’re an alum, one of the players, or a football fanatic, you could very well attend the 20th Annual Chicago Football Classic (CFC) and not recall the final score or this year’s competing teams—Grambling State University Tigers vs. Clark Atlanta University Panthers. But you will probably remember the battle of the bands halftime performance, a staple at this (and most) historically black college and university (HBCU) football and basketball games. At best, sporting events offer Elvis impersonators, shenanigans from team mascots, and doggy tricks as entertainment during intermissions. But this showcase between college marching bands is a longstanding, one-of-a-kind, synchronized creative extravaganza. In fact, this event nixes sports altogether and focuses solely on the bands. In other words, halftime is not the ideal moment to grab more nachos. Stay put for this colorful artistry that weaves the best of dance, music, pop culture, and fashion into each performance. My musical tastes generally run to old school funk and soul and vintage rock, but I highly recommend that you give Sturgill Simpson a listen. Originally part of the bluegrass band Sunday Valley, Simpson’s three solo albums have seen him traverse traditional country (High Top Mountain) and psychedelic Americana (Meta Modern Sounds in Country Music) before releasing the genre-mixing, Grammy-winning A Sailor’s Guide to the Earth, which features the Dap Kings. Simpson is currently on tour and swinging through Chicago to play Northerly Island on Friday, 9/22 (tickets still available). So what’s so special about Sturgill Simpson? He writes great songs that grapple with questions we all have. He has a distinctive voice that’s been compared to Waylon Jennings. And in a day and age where music is often less art than naked commerce, he drips authenticity and has been vocal about not compromising his ideals for a buck. You can hear all that in the song that first hooked me, “Living the Dream.” Catch him soon to hear an artist in his prime. Please share with us if you’ve been inspired by any of these selections and how you spend your downtime. And revisit our first and second selections for more indoors-y pickings. Until next month, cheers to a healthy work-life balance!